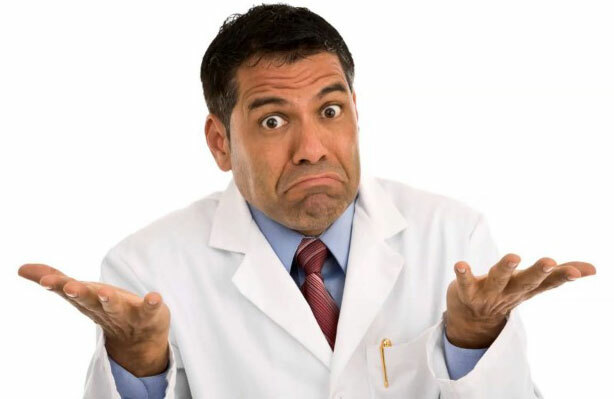 Are Lewy bodies fake news? One of the cardinal features of the Parkinsonian brain are dense, circular clusters of protein that we call ‘Lewy bodies’. But what exactly are these Lewy bodies? And what function do they serve? More importantly: Are they part of the problem – helping to cause of Parkinson’s? Or are they a desperate attempt by a sick cell to save itself? 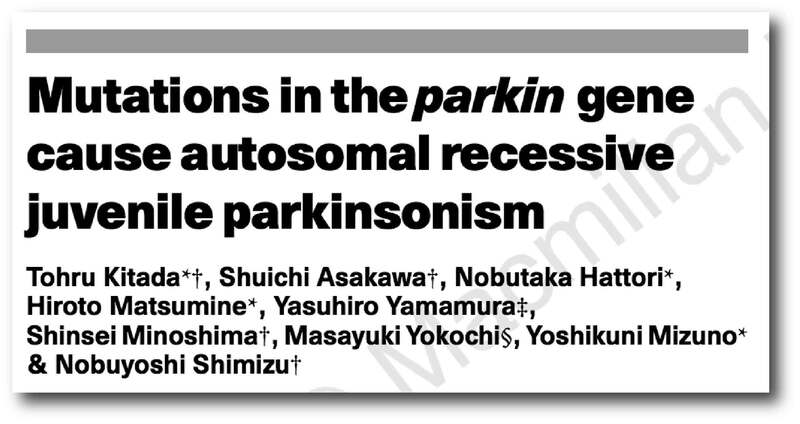 In today’s post, we will have a look at new research that makes a very close inspection of Lewy bodies and finds some interesting new details that might tell us something about Parkinson’s. A definitive diagnosis of Parkinson’s disease can only be made at the postmortem stage with an examination of the brain. Until that moment, all cases of Parkinson’s disease are ‘suspected’. 1. 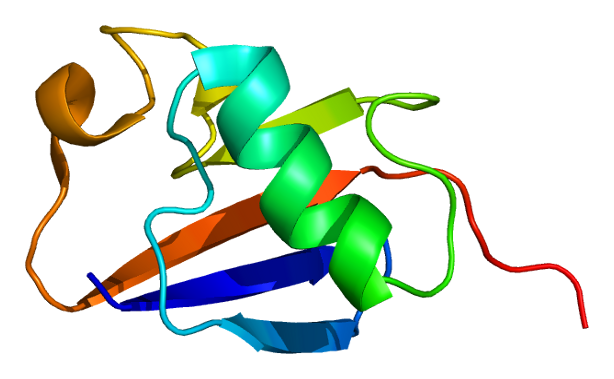 The loss of specific populations of cells in the brain, such as the dopamine producing neurons in a region called the substantia nigra, which lies in an area called the midbrain (at the base of the brain/top of the brain stem). 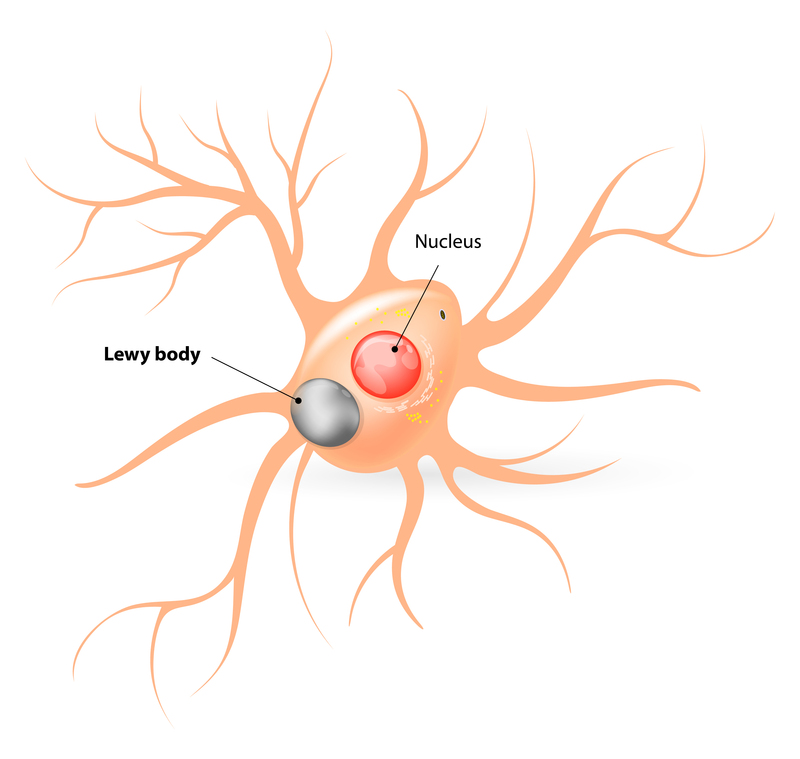 What is a Lewy body? 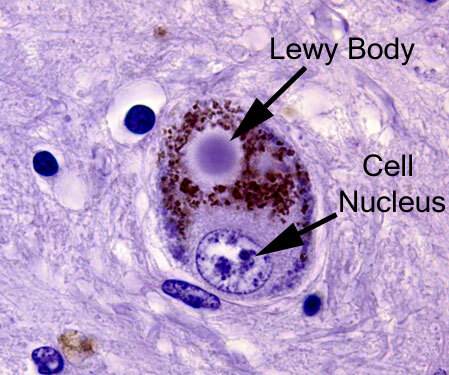 A Lewy body is referred to as a cellular inclusion (that is, ‘a thing that is included within a whole’), as they are almost always found inside the cell body. They generally measure between 5–25 microns in diameter (5 microns is 0.005 mm) thus they are tiny, but when compared to the neuron within which they reside they are rather large (neurons usually measures 40-100 microns in diameter). How do Lewy bodies form? And what is their function? The longer answer is: Our understanding of how Lewy bodies are formed – and their actual role in neurodegenerative conditions like Parkinson’s – is extremely limited. No one has ever observed one forming. Lewy bodies are very difficult to generate in the lab under experimental conditions. And as for their function, this is the source of much guess work and serious debate (we’ll come back to this topic later in this post). Ok, but what are Lewy bodies actually made of?